RevResponse by Netline is a new type of ad network that pays a web publisher, each time some free material is downloaded through their site. It is not based on the classical CPC (cost per click) model. Nowadays, people are aware of those ads being put on your websites or blogs, and they know how to ignore them. 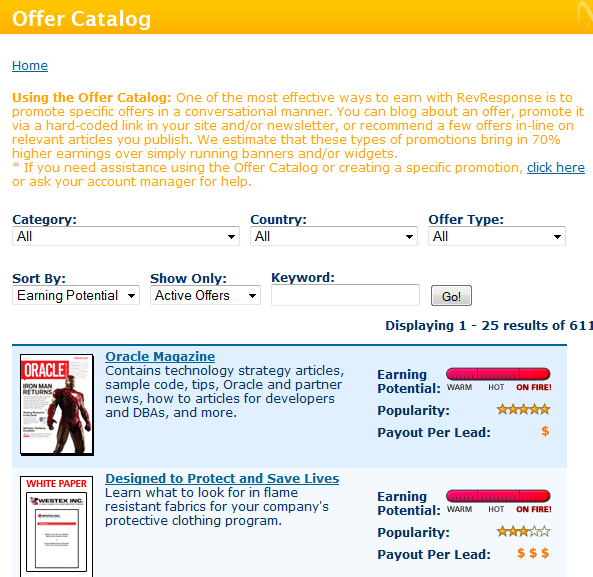 RevResponse presents ads in such a manner that users want to get a taste of it. Offer Catalog: This catalog lists free resources such as magazine subscriptions, white papers, software trials, and podcasts that allow webmasters to convert their visitors into leads by offering them these useful resources. Whenever someone downloads from one such ads, the website owner gets the revenue. The publishers can earn between $1.5 to $20 per lead. Publishers are paid via check or paypal. Newsletter Wizard: Standalone email promotions are very effective ways to promote RevResponse offers to your audience and this what the newsletter wizard exactly helps you do by letting you create customized newsletters of your own choice. Referral Badges: A RevResponse badge helps you earn money for every referral Partner you help sign up. All you need to do is cut and paste one of the RevResponse referral badges and you are all set to generate some extra revenue from your blog. 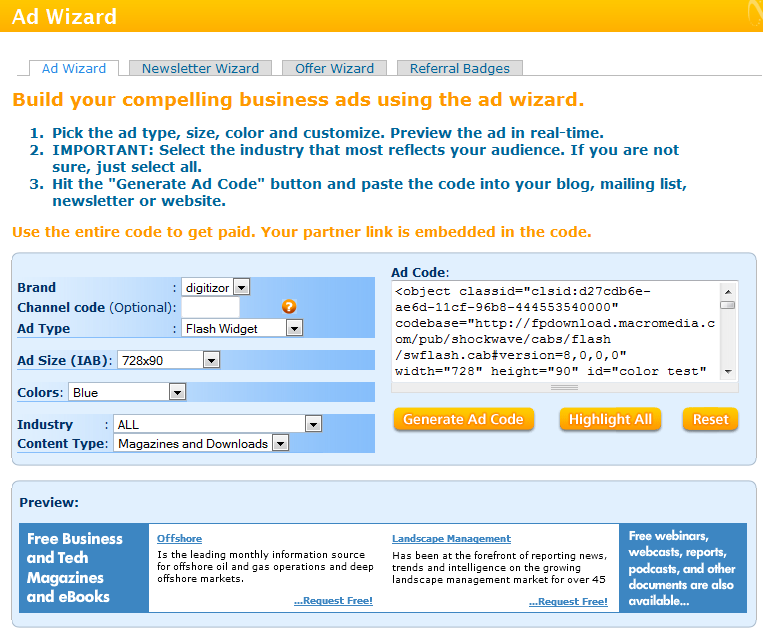 Co-branded Site Wizard: The co-branded site wizard feature allows you to recommend specific resources and have them display on your page in the same template, take a look at this page as an example. This is called the co-branding option through Tradepub. This will surely attract users towards the ad and help you earn more revenue. So what are you waiting for? If you have a website with a definite audience then sign up right away with RevResponse and help your readers with useful but free resources.